Paris, 25th September 2018 – Le Cordon Bleu Paris, the leading global network of Culinary Arts and Hospitality Management Institutes, is proud to announce that Eric Briffard has received le Prix de la Transmission (transmission of knowledge award) during the 32nd edition of Trophées Le Chef. The Trophées Le Chef are the only trophies awarded by and for the chefs and have become a prestigious reference in the gastronomy world. More than 600 guests, including 400 Michelin-starred chefs, met on Monday 24 September 2018 in Paris to celebrate this large culinary professional gathering, hosted each year since 1987. During this ceremony, Chef Eric Briffard was awarded Le Prix de la Transmission, recognizing his commitment to sharing his knowledge with the new generation of future Chefs. Since 2016, Eric Briffard is Le Cordon Bleu Paris institute’s Executive Chef and Culinary Arts Director. 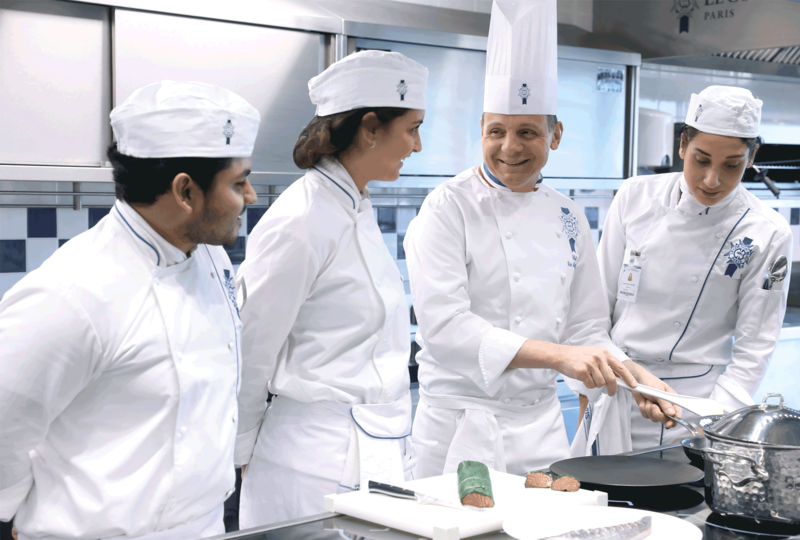 In September 2018, Chef Briffard committed to a new adventure, becoming Head of Le Cordon Bleu Paris institute, dedicated to Culinary Arts, Wine & Management and hospitality training. My ambition is to promote Le Cordon Bleu Institute’s excellence. My challenge is to impart the best training to our students, a transmission of know-how and values.